Having trouble getting the pages to load on casting cave. Anyone else having this problem? 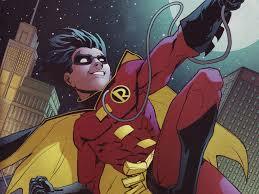 Hush nightwing, dcuc tim drake robin and dc direct batman inc Damian Wayne. I just tried and im only able to view the home page, what were you looking for? I'm asking cuz I make head casts aswell, so if you needed a head I could check my inventory and get back to you.